The problem with employee performance management stems from the phrase itself—performance management. Is it really your goal as a leader to manage or control your employees’ performance? Sure, you determine their responsibilities, assign tasks, and give them feedback on their work, but how can you be expected to control their productivity and performance? Swap manage for motivate. Your performance management strategy should motivate employees—with the appreciation, guidance, feedback, and coaching they need to reach their full potential for your team, the organization, and themselves. 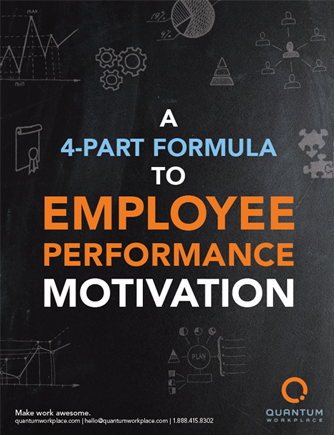 This ebook will take you through the four essential parts to employee performance motivation.